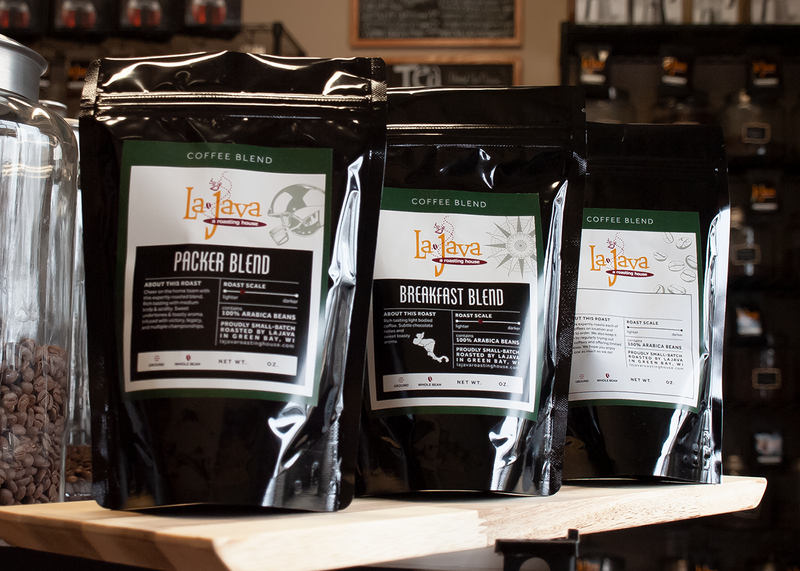 LaJava, located in Green Bay, WI, creates fresh-roasted coffees, loose leaf teas, and in-store café products. 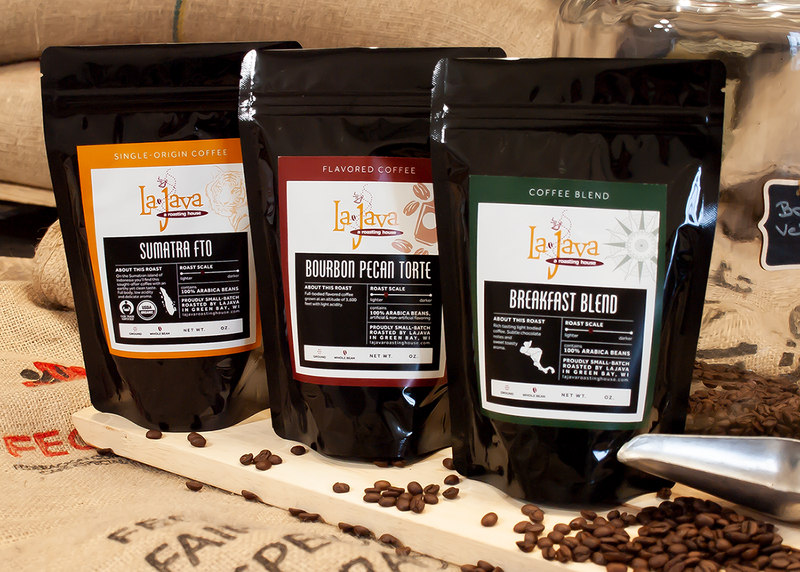 They also offer wholesale coffee to local businesses throughout Wisconsin and have become a Green Bay staple, with four locations throughout the city. 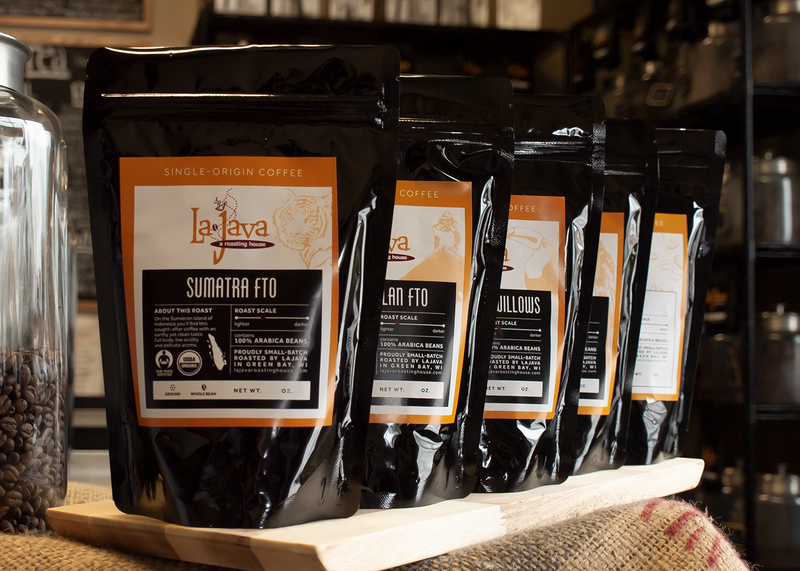 As LaJava expanded their reach to partner with local businesses, they found that their current coffee bag label system was just not working. 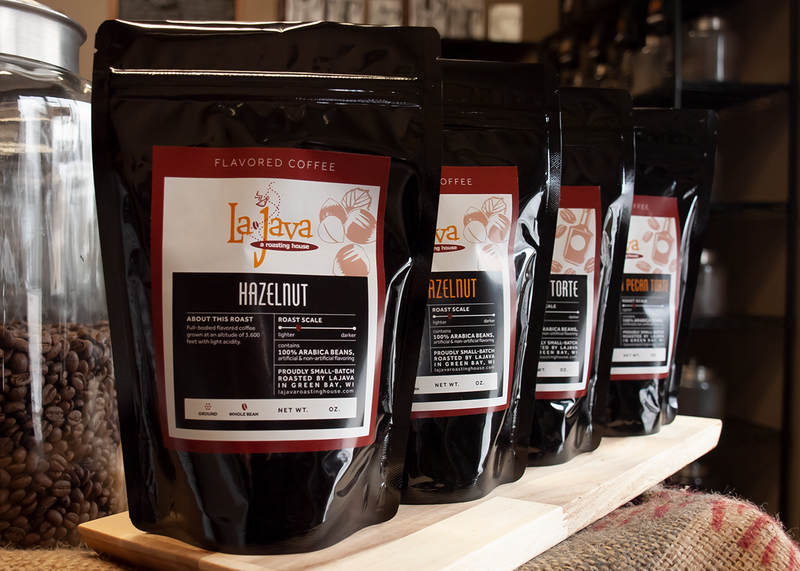 The old label design required a write-in title, had no roast description, and had no visual differentiation between roast types or flavors. 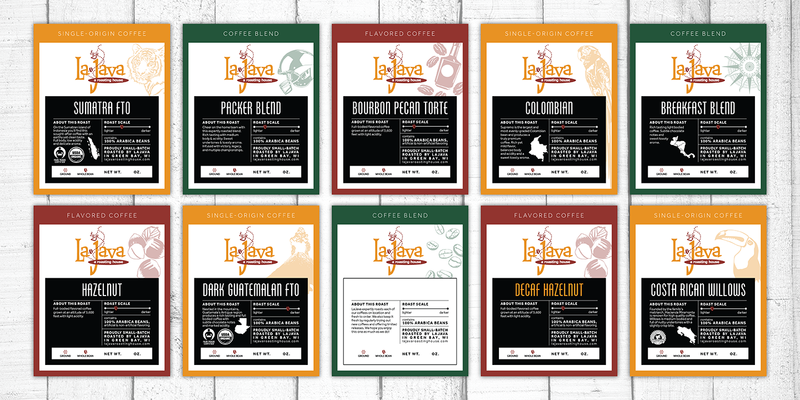 LaJava was in need of a clean, high-quality label system that fit the LaJava brand but created instant visual differentiation between roast types and flavors. We created the basic template layout structure, which brought together readability and clean design, but also allowed for variations between each label. 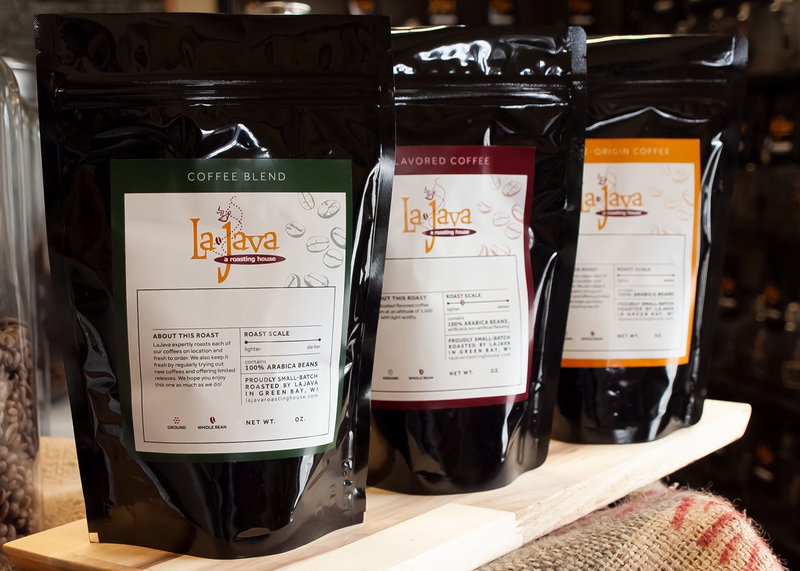 We used color as a main differentiator between the three main types of coffees, and allowed each coffee to have its own unique “watermark” image, description, and roast scale ranking. This system works excellently together, and (most importantly) communicates clearly the information most important to consumers. "Christa is talented, helpful, prompt, and a pleasure to work with. I worked with her in 2018 on a rebranding product project and I am very impressed and grateful for her expertise. We are better for it! I highly and enthusiastically recommend her for your design work and I welcome any questions you may have directly if you would like to reach out."